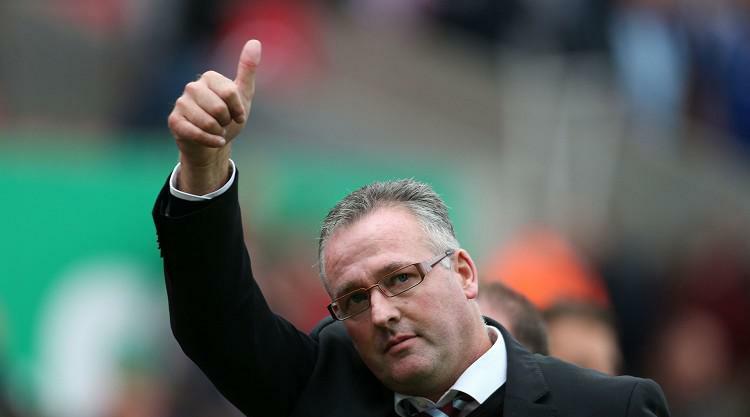 Aston Villa manager Paul Lambert has extended his contract at the club until June 2018. Lambert has had two difficult seasons at Villa Park since he joined from Norwich in the summer of 2012 - Villa finishing 15th in both Barclays Premier League campaigns. But Villa have made an excellent start this time around, winning three and drawing one of their four Premier League games, with Saturday's 1-0 win at Liverpool taking them into second place behind Chelsea. "I'm delighted to have the support of our chairman, Randy Lerner, and Tom Fox, our new chief exec, and I'm determined that we continue building the club to where we all want it to be," Lambert told the official Villa website. "This is a massive football club, a fantastic football club. I knew the first two years would be tough but we've made progress and now we're beginning to see the benefits of all of that hard work. "We're in a much healthier position on and off the pitch and, with a continued sensible approach, we believe we're on the right road to build upon the strong start we've made this season in the Barclays Premier League. "The bar had to be raised, everyone has stepped up and there will be continued improvement. "We can look to the future with real optimism and a determination to make this season successful, and the seasons that follow. "On a personal note I'd like to express my thanks to the chairman for his continued support and to the fans who have been really supportive towards myself, the staff and, most importantly, the team." Villa chief executive Fox said Lambert had established a strong platform on which the club intends to continue building. "I am delighted that we have extended manager Paul Lambert's contract to the end of the 2017-18 season," Fox said. "Paul and Randy had been in discussions regarding this move when I came on board and we concluded our agreement last week. "We have a long-term vision for Villa and Paul is completely integrated into our plan to manage the club carefully and ambitiously back to a position in the Barclays Premier League appropriate to our history and collective expectations."